Herbert Howells was in born in Lydney, Goucestershire, on 17 October 1892. He was the youngest of eight children and his father, Oliver, owned a building and decorating business - and he played the organ at the Baptist Chapel. It was not a particularly musical family but Howells's parents were sensitive and intelligent people who encouraged their children. By the time he started school, Howells was requesting leave to go home to write music. However, the family had severe financial problems through their father's bankruptcy. Young Herbert had already acquired a reputation locally as a promising musician, and the local squire, Charles Bathurst, arranged for him to have lessons with Herbert Brewer, organist of Gloucester Cathedral. Brewer later accepted Howells as an articled pupil which ensured a thorough grounding in keyboard playing and accompaniment, harmony and counterpoint, and composition. In 1912 Howells won an open scholarship to the Royal College of Music where his teachers included Charles Stanford and Charles Wood. Within a short time Howells had written his 'Mass in the Dorian Mode' which became the first of his works to receive a public performance - at Westminster Cathedral under Richard Terry. The following year his first orchestral work, the Piano Concerto in C minor, was performed under Stanford. Howells was an outstanding student, winning most of the available prizes and being highly regarded by his teachers and his fellow pupils, who included Arthur Benjamin, Arthur Bliss and Ivor Gurney. Other works written while Howells was a student include 'The B's' - an orchestral suite celebrating his RCM friends, 3 Dances for violin and orchestra, 'Lady Audrey's Suite' for string quartet, the Phantasy String Quartet and the Piano Quartet in A minor - the first work to be published by the Carnegie Trust. Howells rarely seemed to stop working and this affected his health to such an extent that when, on leaving the RCM, he was appointed as assistant to W.G. Alcock at Salisbury Cathedral, he was compelled to resign after a few months and rejoin his family in Gloucestershire to recuperate - and to compose. With an improvement in his health, Howells was appointed to teach composition at the RCM, a position he was to hold for nearly sixty years. He was married in 1920 and in addition to teaching and composing, he was very busy as an examiner and as a highly popular adjudicator. New works were heard in London (including the 'Pastoral Rhapsody' for orchestra) and at the Three Choirs Festival ('Sine Nomine' for soloists, chorus and orchestra) and he continued to compose many solo songs and part-songs. In 1931 Howells became the first recipient of the John Collard Fellowship. An Organ Sontata (no.2) and 'A Kent Yeoman's Wooing Song' for soloists, chorus and orchestra appeared in the early 1930s, though the latter was not performed until 1953. In 1935 Howells suffered a personal tragedy through the sudden death of his nine-year-old son, Michael. For many months Howells felt unable to compose but the following year he began work on what was to become his masterpiece, 'Hymnus Paradisi' for soloists, chorus and orchestra. Incorporating some material from a 'Requiem' written in 1932, this was completed in 1938 - in memory of Michael - and first performed at Gloucester in 1950, conducted by the composer. While Howells mourned Michael for the rest of his life, he now composed continually until well into his eighties. Key works include the 'Concerto for String Orchestra' (1938), 'Missa Sabrinensis' (1954), 'An English Mass' (1955) and the 'Stabat Mater' of 1963. Howells wrote church music throughout his life. He set Magnificat and Nunc Dimittis no fewer than twenty times and these settings represent the most significant contribution to the Anglican repertoire of the 20th century. Particularly memorable are the settings for King's College, Cambridge, Gloucester and St Paul's. Howells succeeded Holst as Director of Music at St Paul's Girls' School (1936-62) and was King Edward VII Professor of Music in the University of London (1950-64). He stood in for Robin Orr as Organist of St John's College, Cambridge from 1941-1945. He was appointed CBE in 1953 and a Companion of Honour in 1972. 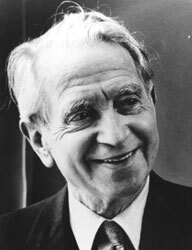 Herbert Howells died in London on 23 February 1983.